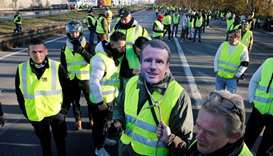 A month of "yellow vest" protests have taken a further toll on the popularity of French President Emmanuel Macron, a new poll showed Sunday, with analysts saying he will be forced to change his style of governing. 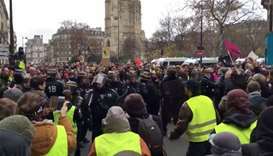 French riot police clashed with "yellow vest" protesters in central Paris on Saturday during the latest wave of demonstrations against high living costs which have shaken President Emmanuel Macron's authority. 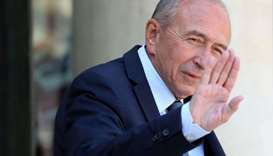 The former investment banker won the 2017 election with 66.1% of the vote on a reformist project to modernise the euro zone's second largest power. 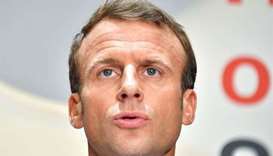 The disgraced former bodyguard at the centre of the biggest scandal of Emmanuel Macron's young presidency is due to appear Wednesday before a Senate committee which will quiz him over his close ties to France's maverick leader. 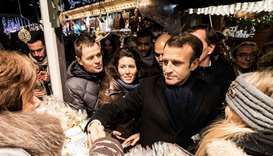 The most damaging scandal of Emmanuel Macron's presidency deepened on Saturday as his interior minister faces a grilling over his response to a top security aide caught on video striking a young man at a Paris protest in May. 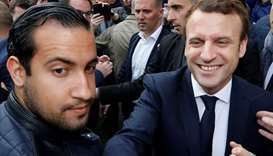 French President Emmanuel Macron has decided to fire the bodyguard who was caught on camera hitting a May Day protester after "new facts" emerged about the alleged misdemeanour, the president's office said on Friday. 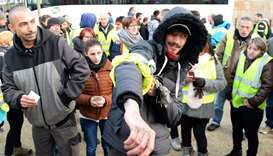 French President Emmanuel Macron came under fire on Thursday after his office suspended one of his aides who was caught on camera striking a May Day protester, but did not inform law enforcement authorities. 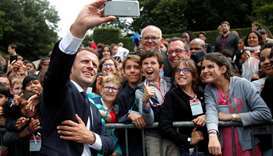 President Emmanuel Macron upbraided a French teenager on Monday after the boy addressed the president informally as "Manu" and sang the socialist anthem in front of him.